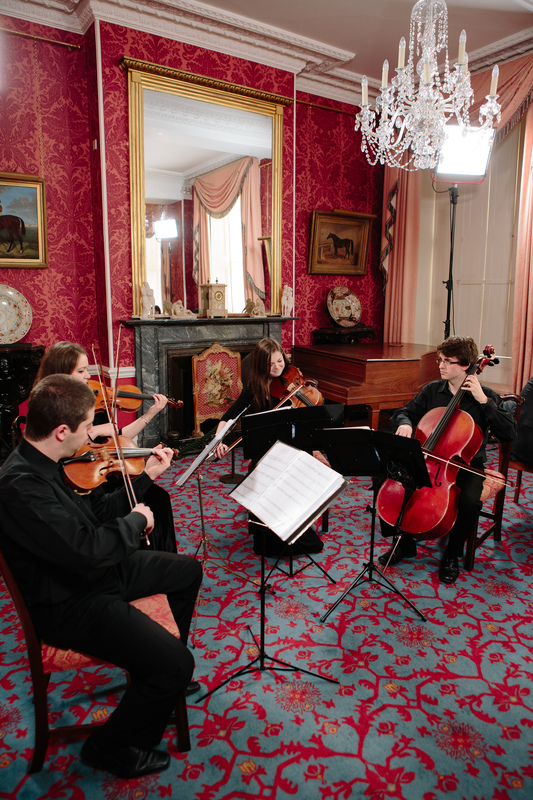 The 440 Quartet is one of the UK’s leading String Quartets, providing outstanding music for weddings and events. Featuring award-winning graduates from the Birmingham Conservatoire of Music – passionate about providing the very best in live music. 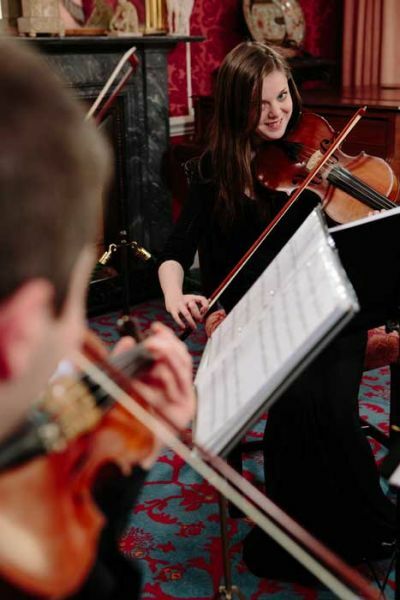 Regularly performing in the Midlands, Oxfordshire and The Cotswolds, but available across the UK, the musicians met in 2008 and have performed together at over 1000 weddings, recitals and events since. We offer a wide repertoire of classical, jazz, pop including Beatles, Oasis, Christina Perri through to Bach and Mozart. The 440 players regularly undertake work with the City of Birmingham Symphony Orchestra, Birmingham Royal Ballet Sinfonia, Orchestra of the Swan and BBC National Orchestra of Wales. Prizes include the Tracy Colvin Award, Andrew Downes Performance Prize, The Sylvia Cleaver Chamber Music Award, Herbert Lumby Prize and Leamington Prize. 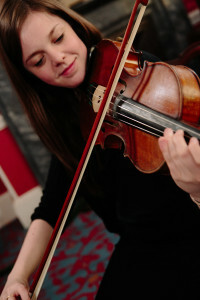 Clients include Fred Olsen Cruise line, House of Commons, Birmingham City University and the BBC. “Thank you so much for the beautiful music you provided at our wedding reception on 07.07.17 everybody loved it! Your range of music was amazing, It was simply stunning. You were so professional and your communication leading up to the event was great, I felt absolute confidence in you. You were just perfect! Many thanks.